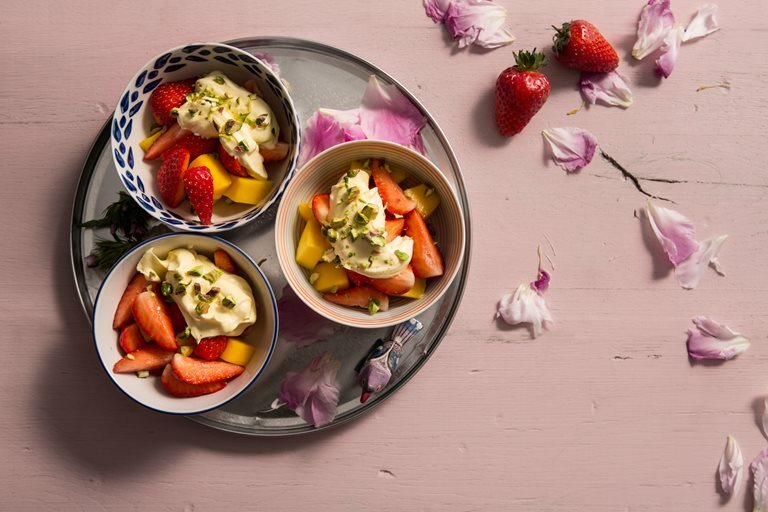 Although the British summer may not be living up to expectations as far as the weather, we can still make the most of summer time fruit such as British strawberries. 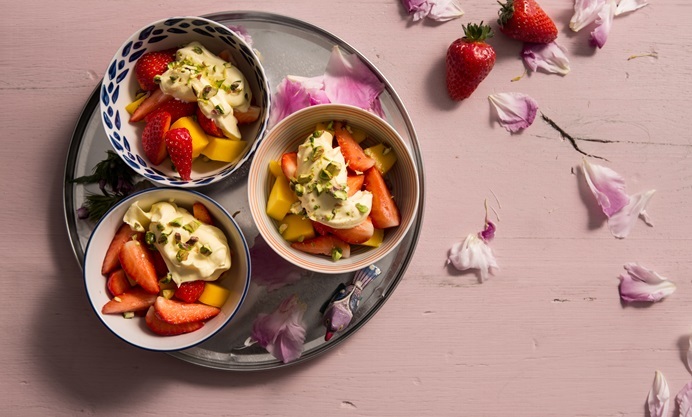 New Great British Chefs guest blogger, Sumayya Usmani shares a match made in heaven - strawberries & mangoes with a delicious saffron cream. While I was growing up in Pakistan, a million of miles away from Centre Court, the buzz of Wimbledon always got us into a real summer sporty spirit. I myself was never crazy about watching the game until I watched Boris Becker win live in 1989 – being there and feeling the energy is indescribable. I won’t say that I remained very interested in the game since, but I can appreciate the sense of excitement Wimbledon brings to each year. From a foodie front, the season brings the best of summer fruits despite the dismal weather, and nothing is more quintessential than strawberries in the summer time. Hailing from Pakistan how can I not mention the wonderfully fragrant Pakistani Honey mangoes that have now arrived to these shores in their full sweet glory, so I could not resist creating a match (forgive the pun) made in heaven, creating a decadent fruit salad using the two which is topped with a rich saffron cream with pistachios. You might not see Pakistan winning Wimbledon anytime soon, maybe just leave them to cricket – but this combination of British strawberries and Pakistani mangoes is one winning team.